The Lower Chinook are a Native American people group who belong to the Chinook Nation, which includes the tribes of Clatsop and Kathlamet in Oregon and the Lower Chinook, Wahkiakum and Willapa in Washington. Traditionally, they resided along the lower and middle Colombia River. The Chinook Indian Nation's offices are in Bay Center, Washington. The tribe holds an Annual Winter Gathering at the plankhouse in Ridgefield, Washington. 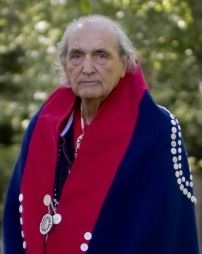 It also holds an Annual First Salmon Ceremony at Chinook Point (Fort Columbia) on the North Shore of the Columbia River. Historically, their religion was based on protective spirits and animal deities, such as the blue jay and coyote. They had faith in the guardian spirit concept, a common belief among Native Americans that powerful spirits guided and protected them. To learn more, see the Lower Chinook an Clatsop website. Pray God will work in the lives via natural circumstances in life to desire a personal relationship with Jesus Christ. Pray Christians will share the message of hope and salvation through Jesus Christ. Pray for renewal and spiritual revival to take lace among the Lower Chinook.